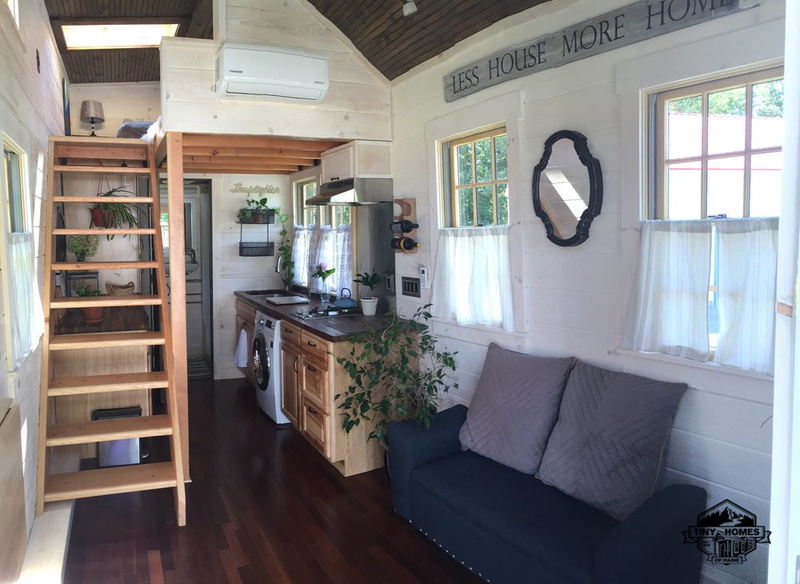 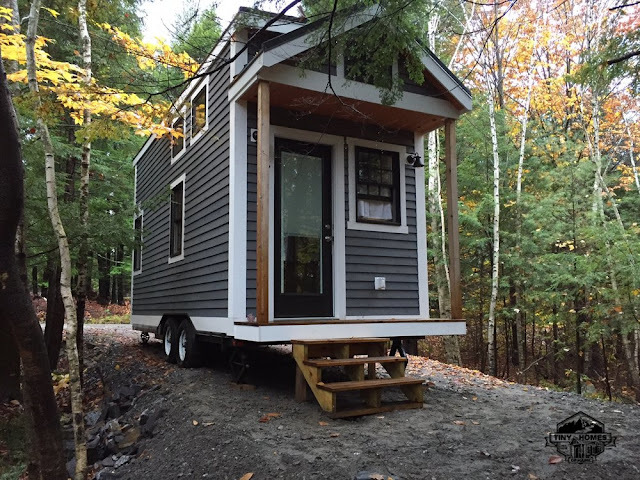 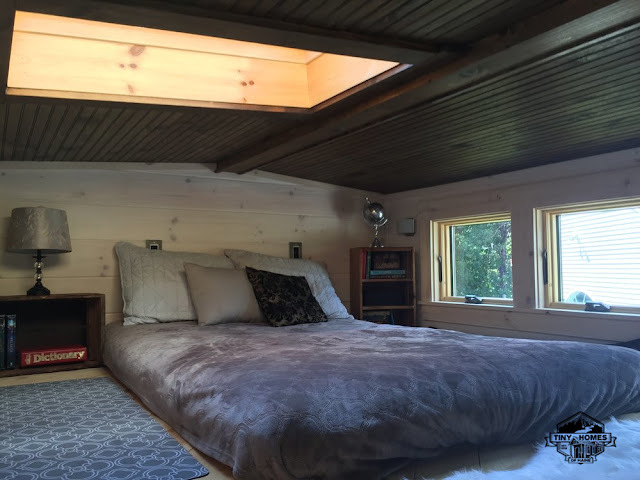 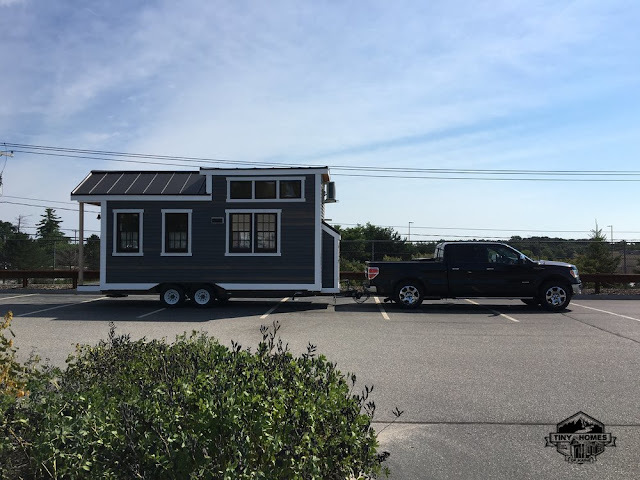 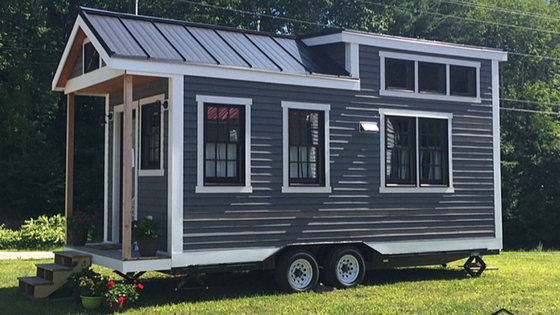 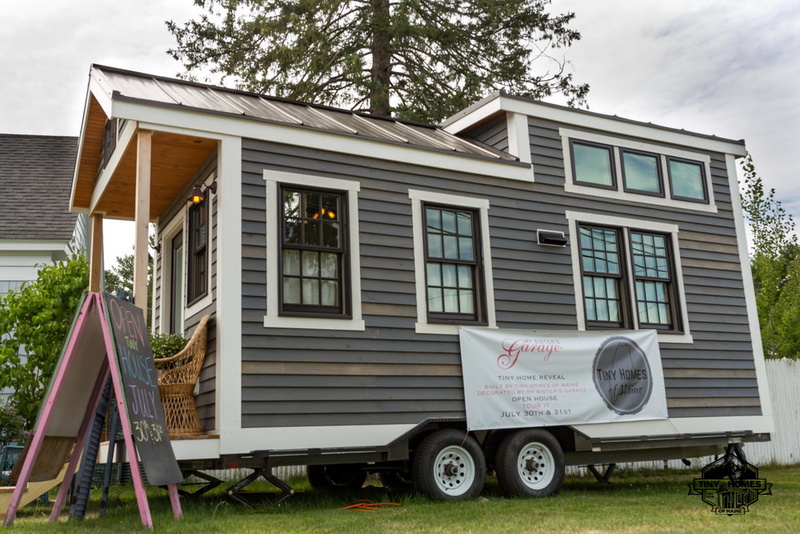 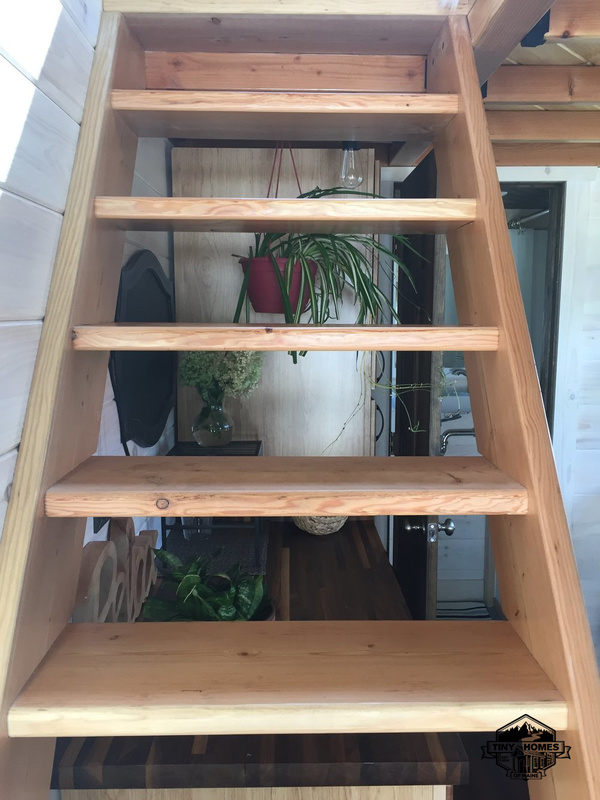 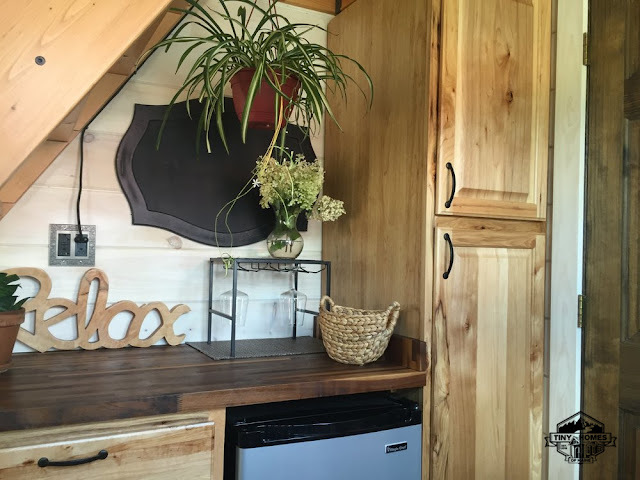 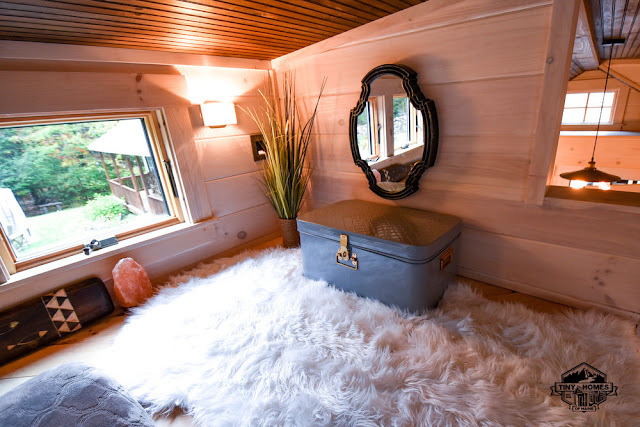 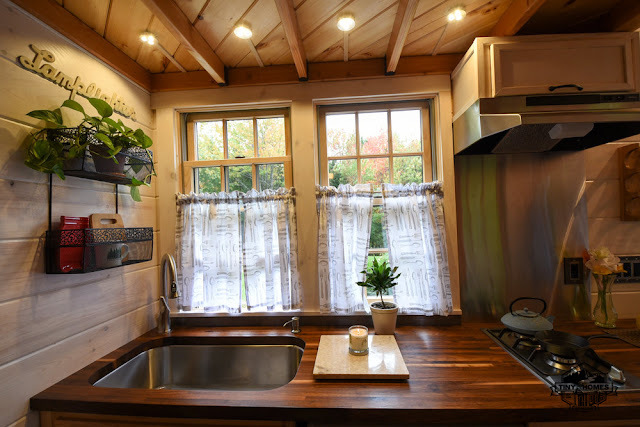 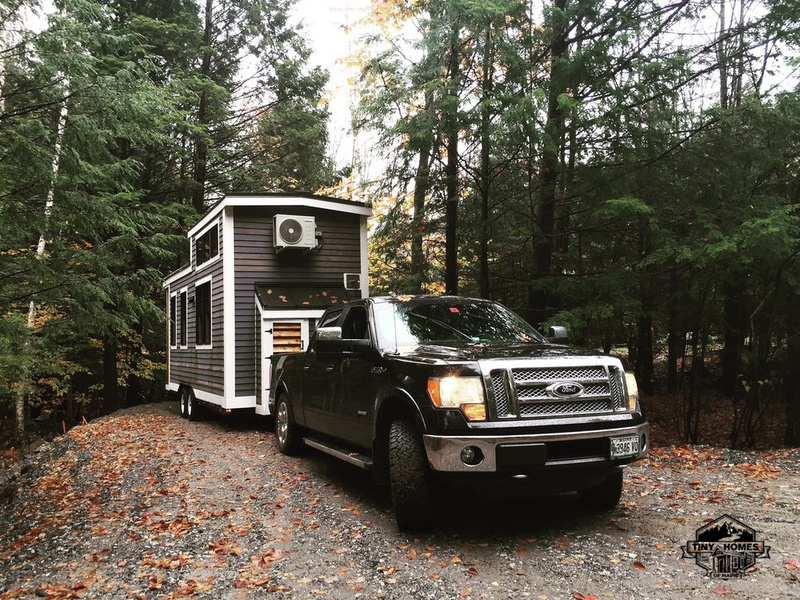 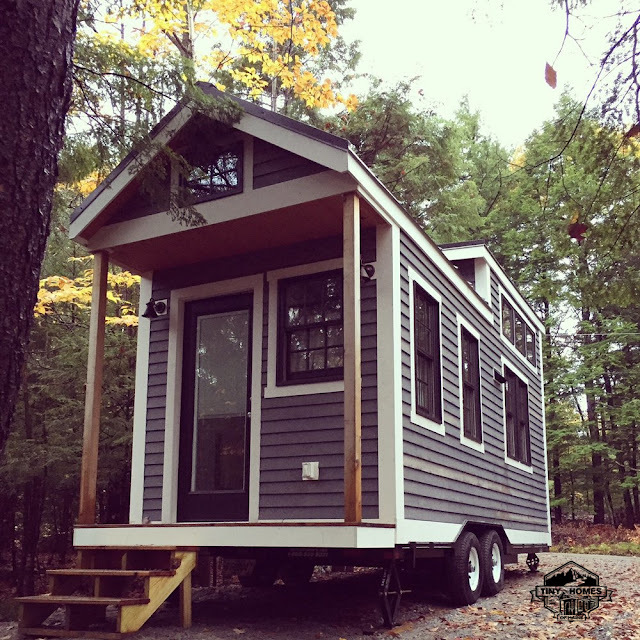 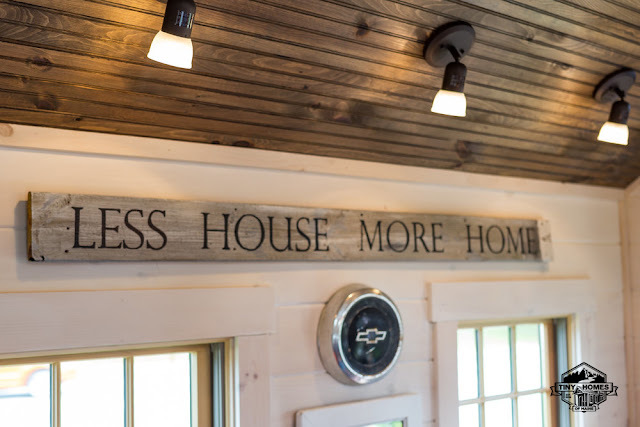 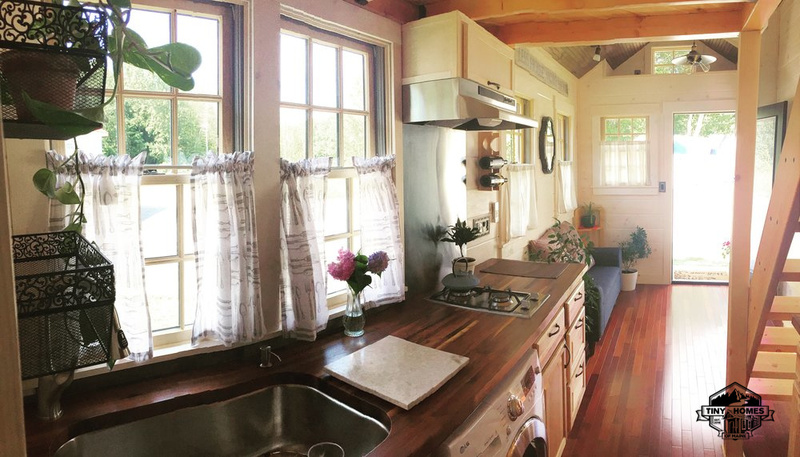 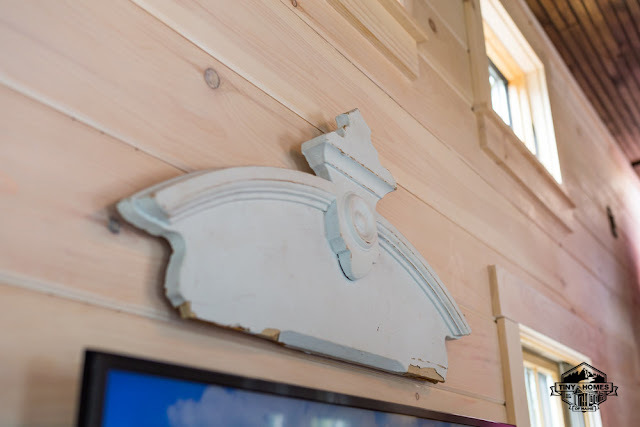 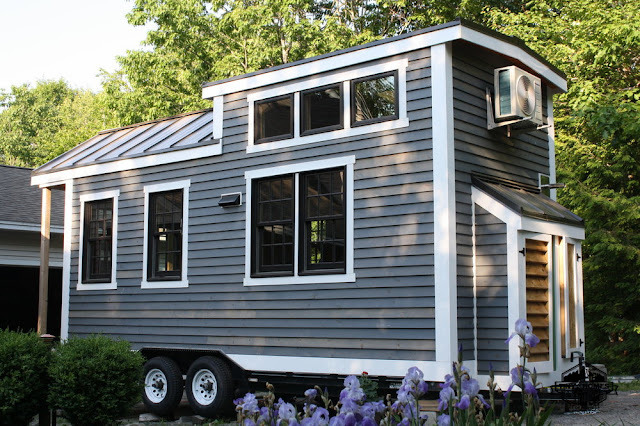 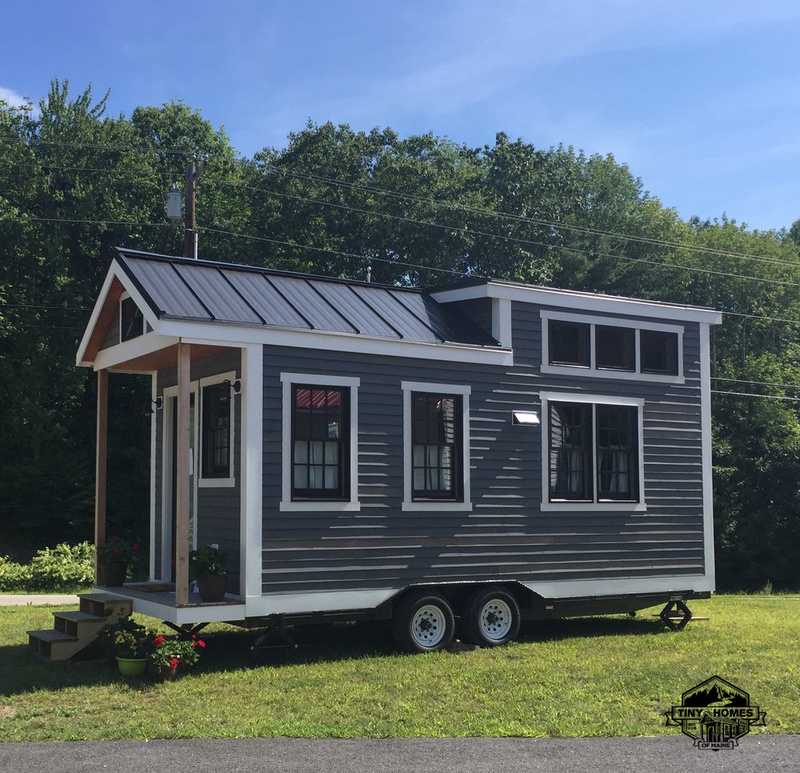 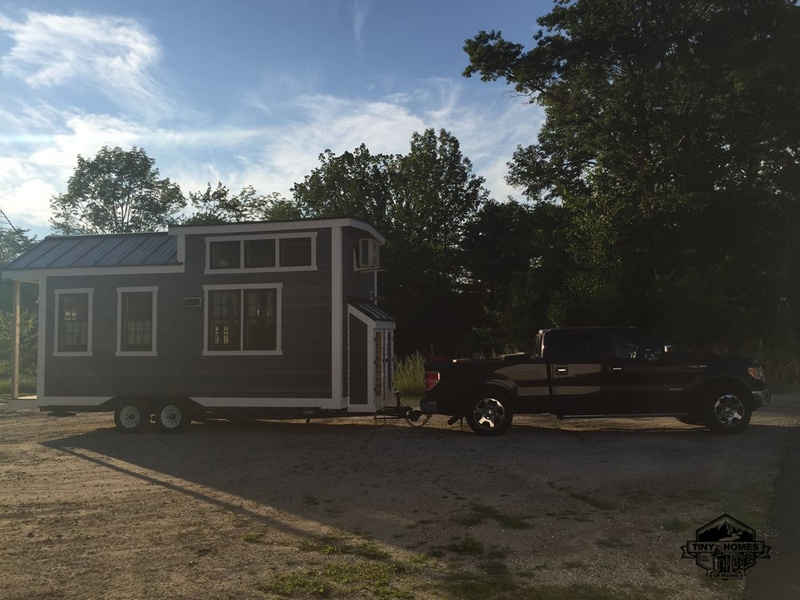 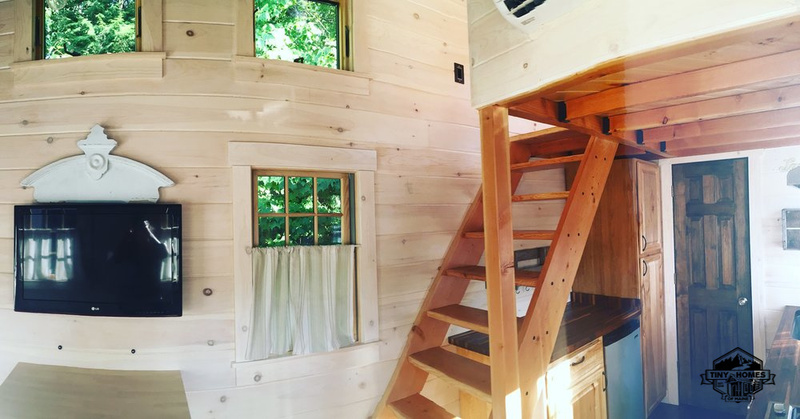 This beautiful tiny house on wheels is built by Tiny Homes of Maine; a family-owned company based out of Windham, Maine. 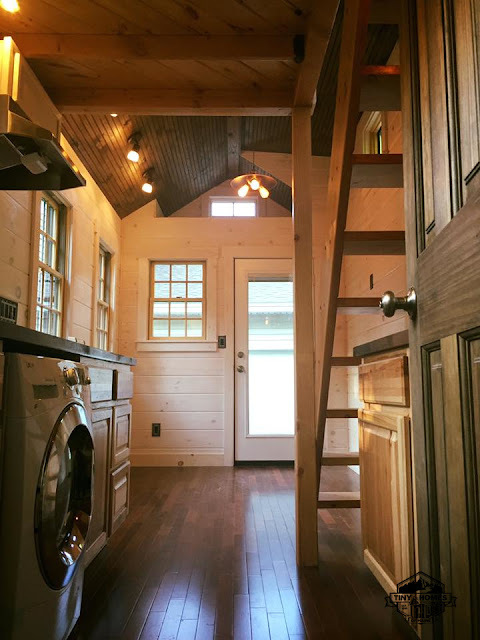 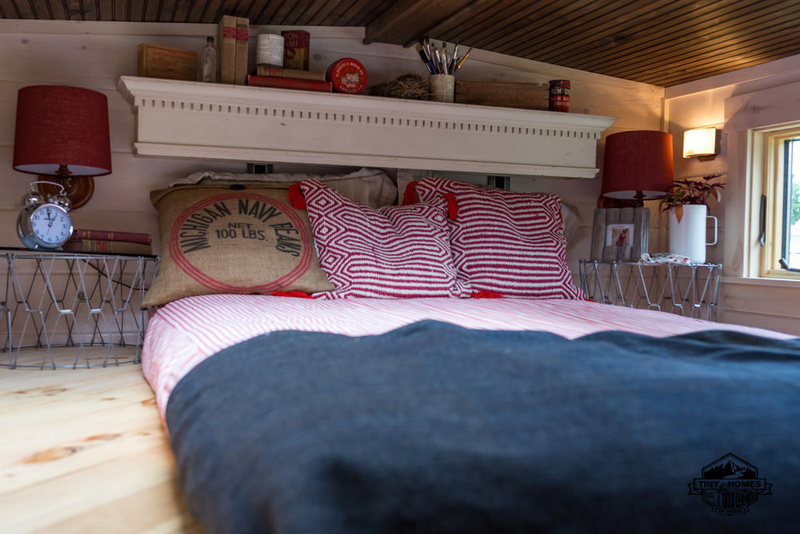 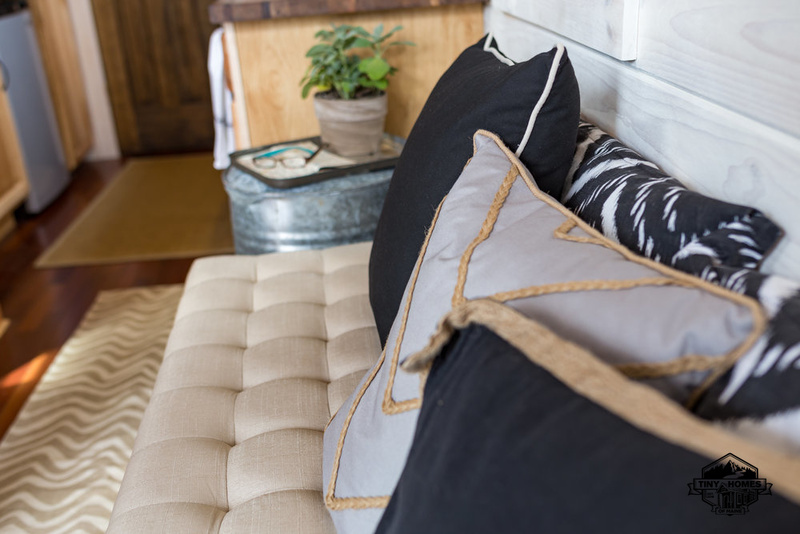 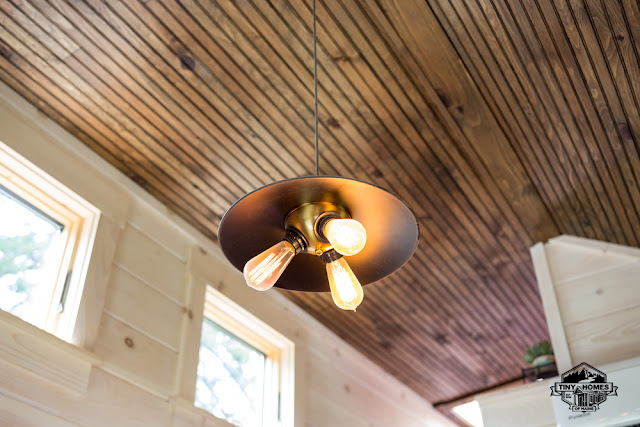 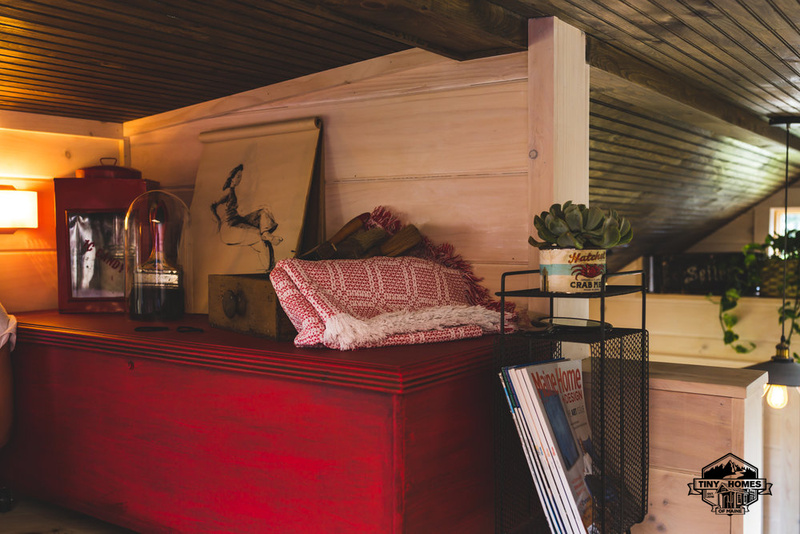 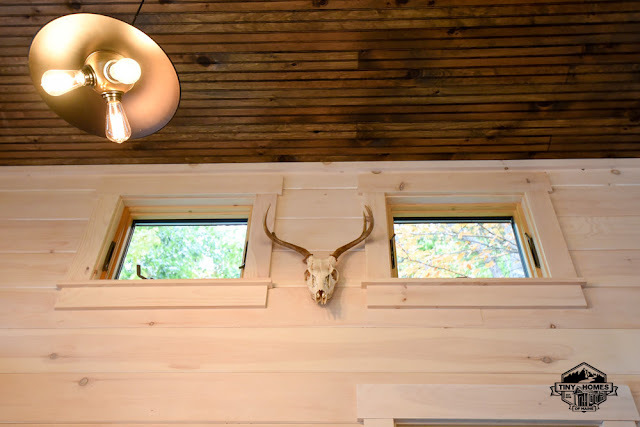 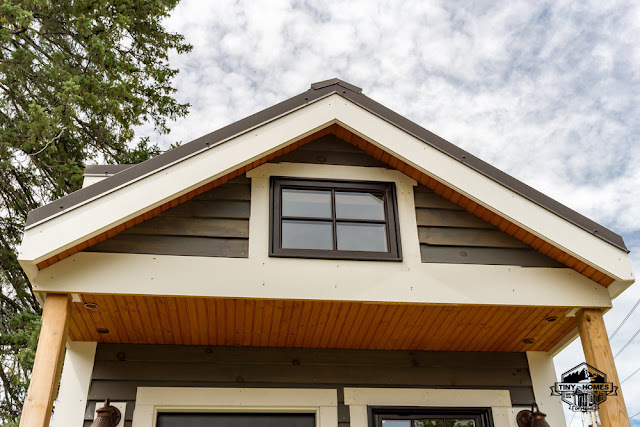 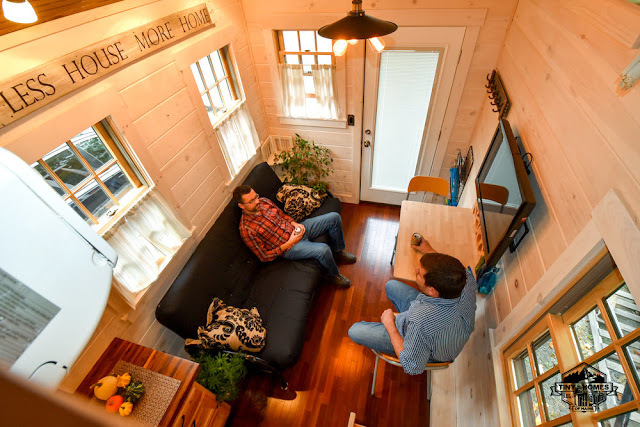 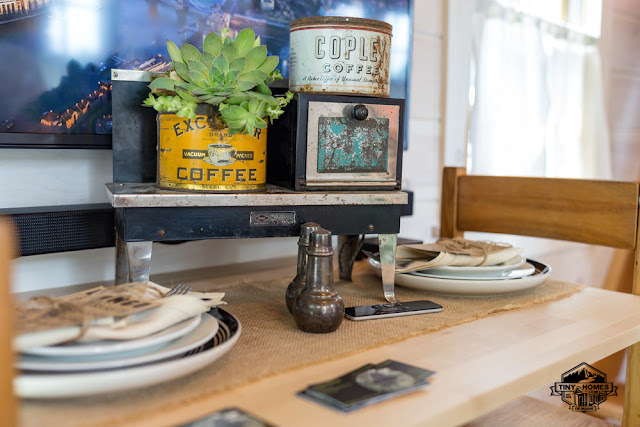 The 240-sq-ft homehas a cozy rustic interior of finished pine with Brazilian cherry flooring. 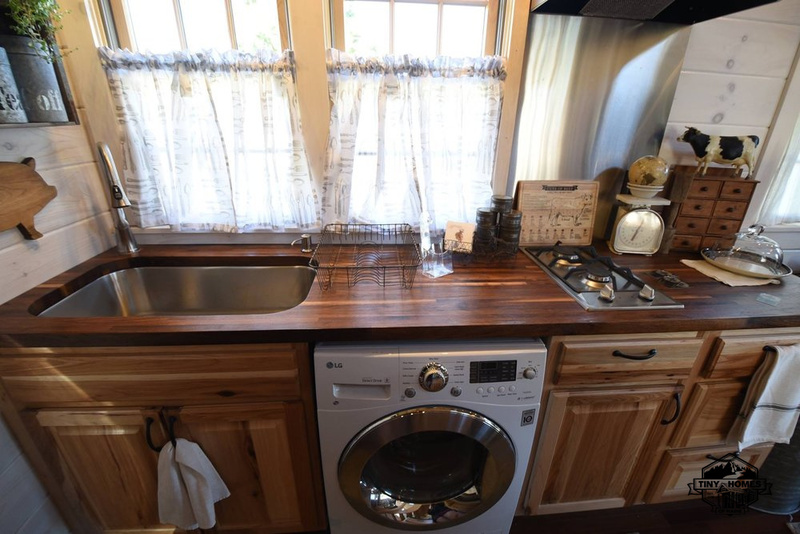 The kitchen comes with applainces, walnut butcherblock countertops, and hickory cabinets. Also on the main floor is a comfortable living room, and bathroom with a composting toilet. Upstairs, the hoem has two loft spaces; one as the bedroom and the other for storage. 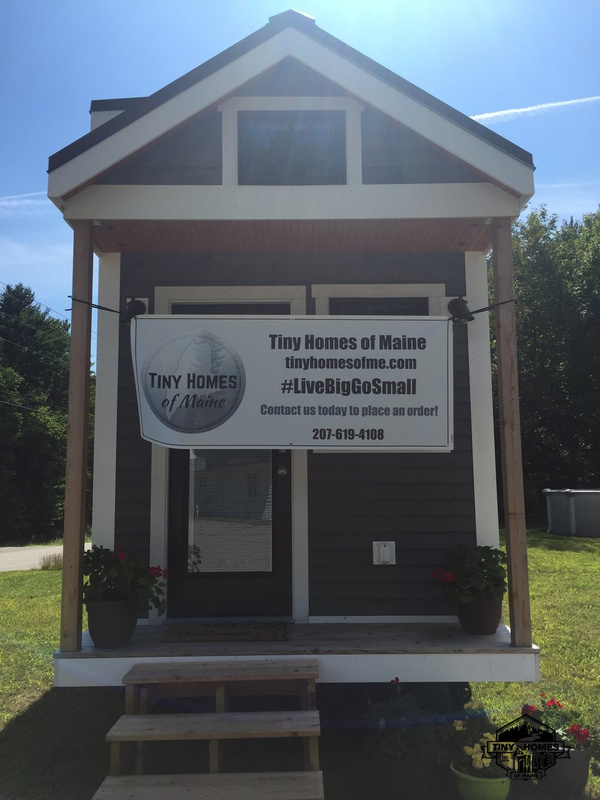 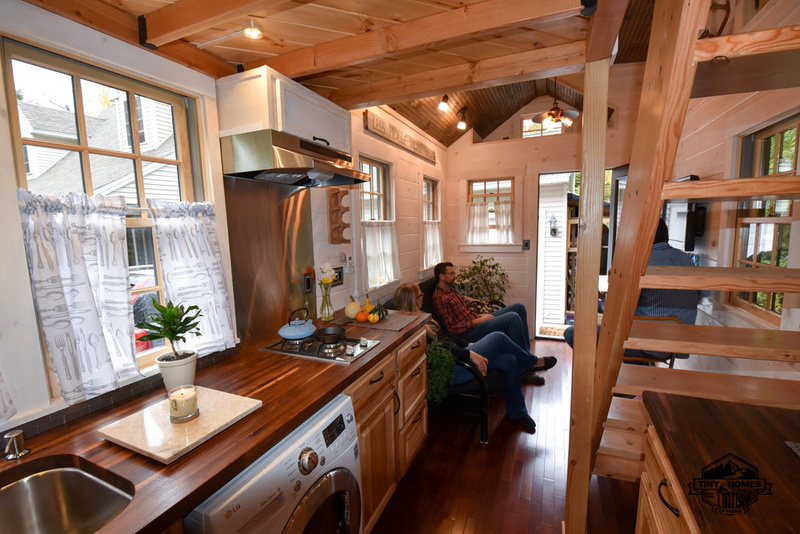 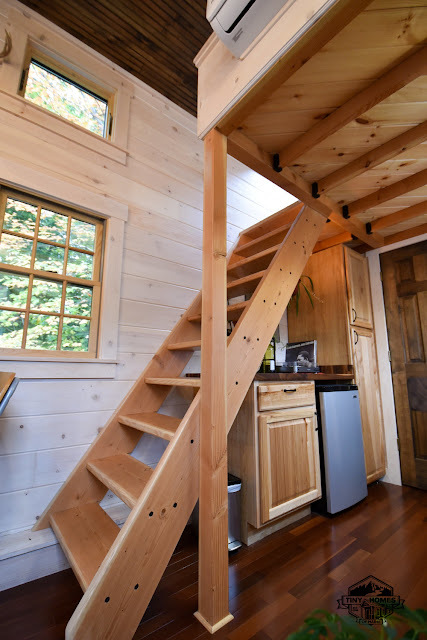 Houses from Tiny Homes of Maine start at $45,000. 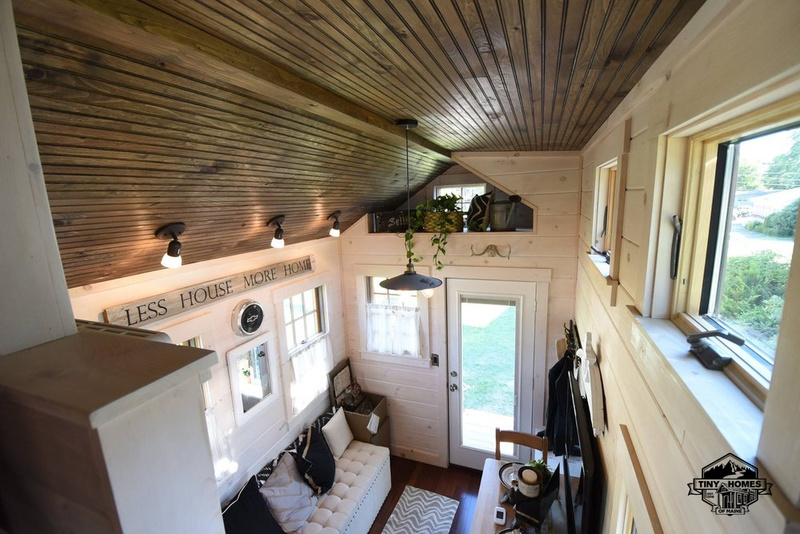 This one pictured here was listed for $58,000. 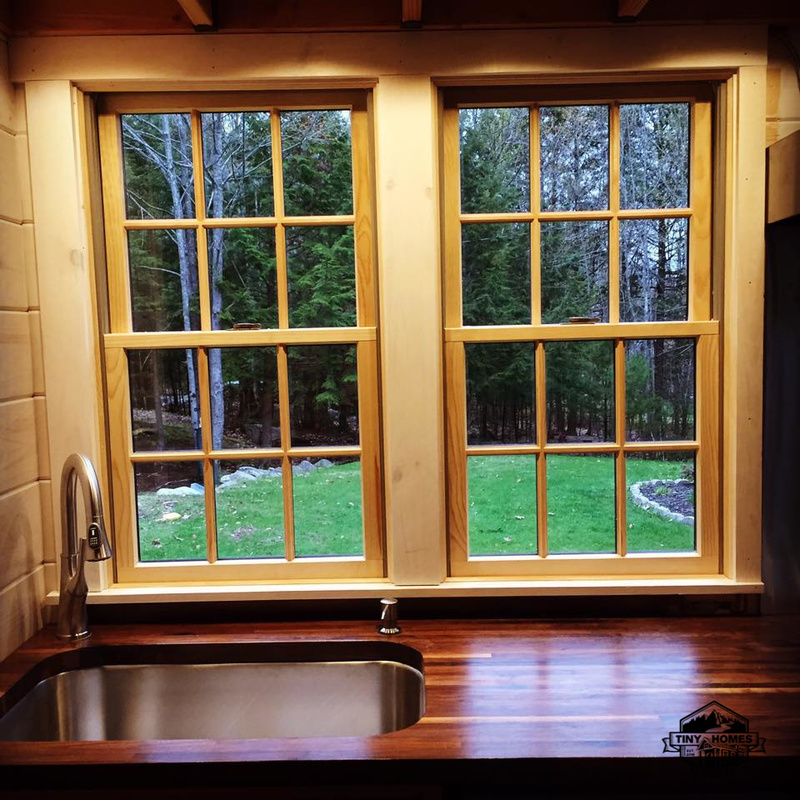 Contact the builder here to discuss any projects or for any futher questions!